However, they demonstrate that this is far from the case today. In this sense, they agree with the conclusions of Socialism Today about the complex reality of China’s economy and its state as still remaining in transition. The direction of travel  towards a “normal” capitalist regime  is obvious, but it has not yet been fully completed. They provide a mass of empirical evidence to show that, since the collapse of the world capitalist system in 2008, the process has been halted and in some senses thrown into reverse. They fully recognise  how can this be denied?  the existence of a huge capitalist sector, which looked as though it was likely to dominate the whole of China in the course of time. But that is not yet the case. But the important proviso is added: They have done this in only two areas of China: Guangdong and the Yangtze River Delta compromising Shanghai and southern Jiangsu Province. The economies of these two regions are dominated by foreign investors and private companies; there is virtually no state sector remaining. These areas consistently attract 70% of total foreign direct investment and contribute over 70% of China’s exports (p 8-9). These in turn have created huge foreign exchange reserves, one third of the world’s total. At the same time, there is a parallel economy that is geographical as well as politically strategic. This is referred to as the economy ’inside the system’ and, from the Communist Party’s viewpoint, it is the real political economy. All of the state’s financial, material and human resources, including the policies of opening up the country to foreign investment, have been and continue to be directed at the ‘system’. Improving and strengthening it has been the goal of every reform effort undertaken by the Party since 1978 (p 9). 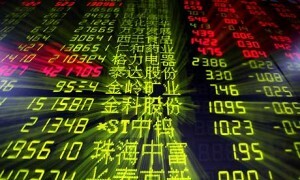 restricted the privilege of listing shares to state-owned enterprises in the name of SOE reform. The market capitalisation in Hong Kong, Shanghai and elsewhere belongs to companies controlled outright by China’s Communist Party; only minority stakes have been sold (p 14). The markets provide less than 30% of all capital raised, including loans, bonds and equity. It is true that many commentators  not Socialism Today  looked to China’s adherence to the World Trade Organisation (WTO) as representing the final, qualitative move towards untrammelled capitalism. Indeed, under the WTO, commodity and bond markets would have to be freed from outside government control. But this has not been carried through and leaves China in its present economic halfway house position. The authors state bluntly: The global financial crisis eliminated the political consensus in support of the western financial model that had been in place since 1992. This has allowed the pre-reform economic vision of an egalitarian socialist planned economy to re-emerge. There are many in the Party and the government who had never supported Red Capitalism in the first place (p 213). One of the contenders for the new nine-member politburo, Bo Xilai, CCP chief from Chongqing in the west of China, has invoked alleged “Maoist slogans,” propaganda and techniques. 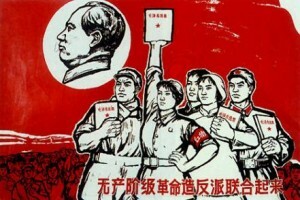 It seems that, on special occasions, residents receive [from Bo] “red texts”  Mao quotations sent to mobile phones. The local state television station has replaced all commercials with “red programs”  soap operas narrating revolutionary history. Civil servants, state company staff and students are called in for the organised singing of “red songs”  hymns glorifying the country’s founding father and the party. “The sun is red, Chairman Mao is dear,” according to one. We also learn that some conservative groups, long unhappy with the naked capitalism produced by more than 30 years of economic reforms, have taken up [this] model (“China: Mao and the Next Generation,” Financial Times 3 June). To characterise this simply as “capitalism” is one-sided and, moreover, does not prepare the working class for the kinds of developments which have been seen in China recently. There are those, some of whom have a presence on the internet in China, who may lean towards this analysis. But their approach and conclusions would not allow us to foreshadow the kind of recent developments that took place following the implementation of China’s massive stimulus package. China is not a planned economy, not even one bureaucratically managed from the top by a Stalinist elite as existed in the past. But it has not yet made the full transition, as this book demonstrates, to a complete capitalist transformation either in the economy or the state. Socialism Today has argued (for example, in “China’s Future?”  Socialism Today No.108, April 2007) that China can be compared today, in some senses, with states in many neo-colonial countries which played a Bonapartist role  balancing between different groups and opposing forces  and which were not able to consolidate a defined stable regime. In the neo-colonial world in the 1960s and 1970s, in a number of states a significant degree of nationalization of industry, in some cases a majority, was carried through by such Bonapartist regimes. This was the case, for instance, in Libya and Algeria at one stage. This did not, however, lead us to hastily characterise these regimes as “workers’ states,” even of the “deformed” character described by Leon Trotsky in his analysis of Stalinism. Torn by contradictions which threatened to consume these societies in endless internal conflict, the state played the role of a mediator, balancing between class forces in developing “the nation” in a certain historical period. They were inherently unstable and in changed circumstances easily moved in an opposite direction towards privatisation and the market. We commented in the past: The present Chinese state shows some of these features today. Not just the Chinese economy but the Chinese state itself is of a ‘mixed character,’ with significant remnants of the Maoist state machine retaining an important influence. This is entirely different to the state machine which ushered from the ’big bang’ in Russia in the early 1990s, when the remnants of the pro-Stalinist bureaucracy were completely cleared out and the untrammelled rule of the ex-bureaucrats who had gone over lock, stock and barrel to capitalism ruled the roost, and have done since (Socialism Today April 2007). given the fragmented structure of the countrys political system in which the special-interest groups co-exist within a dominant political entity, the Communist Party of China. What moves this structure is not a market economy and its laws of supply and demand, but a carefully balanced social mechanism built around the particular interests of the revolutionary families who constitute the political elite. China is a family-run business. When ruling groups change, there will be an inevitable change in the balance of interests; but these families have one shared interest above all the others: the stability of the system. Social stability allows their pursuit of special interests. This is what is meant by calls for a ’Harmonious Society'” (p 24). It is true that over the past 30 years China’s state sector, in the guise of western corporations, has listed companies on foreign stock exchanges and made use of such related professions as accountants, lawyers and investment bankers. But the formerly creaking state sector, the state-owned enterprises (SOEs), were renovated and, to some extent, put back on their feet, ironically, by Goldman Sachs and Morgan Stanley. They made China’s state-owned corporate sector what it is today. Without their financial know-how, the SOEs would long since have lapsed into obscurity, outcompeted by China’s entrepreneurs, as they were in the late 1980s (p 10).
. Given the state’s scale in critical sectors, together with the enormous power of the government, the influence of this patronage system pervades all aspects of China’s economy. It inevitably undermines the very contents of its superficially internationalised institutions” (p 23). Despite China’s adherence to the WTO, foreign banks consistently constitute less than 2% of total domestic financial assets, with the party treating banks as basic utilities to provide unlimited capital to the cherished state-owned enterprises. With all aspects of banking under the party’s control, risk is thought to be manageable (p 25). However, under this system on a number of occasions the banks have been technically bankrupt. The importance of this cannot be underestimated as they own and control 43% of China’s total financial assets. But, given what has been written above, the government’s unshakeable control over this sector, this gives the Chinese state much greater leverage  for instance, in the event of serious economic crises  than is the case with any other system of government in the world. It allowed the state to intervene in the aftermath of the crisis beginning in 2008 with what was the biggest “stimulus package” in the world. Faced with 20 million unemployed and all the social consequences of this, the Chinese regime, as this journal predicted, undertook a spending programme, much of it through local government, in a desperate attempt to keep the turbo-charged export machine expanding further and generating jobs. But this was at a cost and a considerable one at that. Such was the scale of the spending programme, which was basically the same as in previous cycles but on a vastly extended scale  infrastructure projects, SOEs and local government “financing platforms,” as they have been referred to in the Chinese press  they are now being compared to Mao Zedong’s “Great Leap Forward” of 1958-61. This meant the colossal build-up of debts, estimated to be at least 70% of China’s gross domestic product, in the banks. This has created a number of bubbles in the financial sector, particularly in property, which can come crashing down in the next period. [This has lent credibility] to the idea that banks in China are just that, banks, and have value, if not as individual institutions then as proxies of the countrys economy. That is just the point: they are indeed proxies of the economy inside the system (pp 78-79). Difficult to classify from a Marxist point of view, nevertheless, China could be described in a sense as a unique form of “state capitalism.” The state’s primary concern is not to further all the normal attributes of capitalism: the realization of surplus value, a drive to privatize “everything” irrespective of the social consequences, etc. The opening towards capitalism was seen as necessary to ensure social stability. It can also be halted if it threatens a social meltdown. It is not the type of regime described as state capitalist by Friedrich Engels, where the state steps in to rescue and nationalise a minority of industry. Nor does it fit into the false concept of the state capitalist school typified by the late Tony Cliff and his heirs in the Socialist Workers’ Party. They described Russia under Stalinism as state capitalist. Russia was a nationalised, planned economy but with a one-party totalitarian regime, a “deformed workers’ state.” China is presently in a halfway position, a hybrid, and it is not certain how or if it will develop in a fully capitalist direction. The authors describe the bond markets as incredibly weak because China is a country where the state  that is the Party  owns everything and there is no tradition of private property (p 85). They show in the most graphic and detailed fashion how this affects the bond market, which the government carefully controls with the state-controlled entities holding 92% of total bond investments. The consequence of all this is more asset bubbles, stock market booms, problem loans, all the inevitable products of this halfway house arrangement which is neither a planned economy nor firmly-established capitalism. This is despite the fact that there is the veneer of a modern capitalist economy. But almost right from the beginning of the “reforms” and opening up to the “capitalist world,” the ruling elite through the party has ensured that power remains in their hands by, among other things, making sure that only a minority of shares is in the hands of private interests. Behind this carefully organised attempt to control the situation is the morbid fear of the elite of the social consequences if they should accede to all the demands of foreign capital and their echoes inside China. This is particularly the case now against the background of the catastrophic economic crisis of world capitalism. The original “renovation” of the SOE’s resulted in sackings, the eviction of millions from their jobs, land and homes although, technically, the land is still owned by the state in China. Inhuman conditions arose from this in the form of the “primitive accumulation of capital” in the sweatshops, synonymous with the introduction of capitalism. All of this has fuelled enormous discontent resulting in a growing wave of “mass incidents.” It has even resulted in terroristic acts by outraged workers. One such reported incident was of a 50-year-old worker who set off a car bomb outside a prosecutors office because of the forced demolition of his house. One of the most popular online games in China at the end of last year was called Nail Household Fighting Against Demolition Squad. The rise in inflation has also added to the woes of the Chinese state, a particular fear because of historical experiences  it was a factor in the revolution of 1944-49. The massive investment in factories and infrastructure, the industrial base, played a major part in the colossal industrialisation. But in the changed economic circumstances this could rebound on China as the growth in the economy and “demand” begins to slow down worldwide. The regime’s massive investment program has aggravated global overcapacity in many sectors of industry, and the scope for increasing China’s exports comes up against the limits of international demand and competition. At the same time investment, on which the country’s rapid growth has depended, has run ahead of domestic demand, which has been held back by low wages and weak social expenditure. Even the influx of cheap labour from the countryside is slowing down as the enormous cost of living in the urban areas is not compensated by wage packets which are falling behind steeply rising prices. Many of the new generation are also refusing to accept the inhuman conditions in the foreign-owned factories in China. Vibrant social media reflect the growing discontent of the masses. One blogger declared: ”Prices go up like our blood pressure and finding a job is as tough as finding a three-legged frog.” Another commented about the tightening censorship: ”Society is like a costume ball – you cannot see our anger, grief or even happiness under the masks”. Another complains about living with “developing countries’ salaries, but developed countries’ prices.” This was supplemented by the comment that the price of food had reached the point where it was cheaper and more effective to take vitamin pills (The Times 2 May). At the same time, the colossal discontent with endemic corruption has been revealed. Over a 15-year period, according to a report released by China’s central bank, 17,000 CCP cadres, police, judicial officers and SOE executives fled the country between the mid-1990s and 2008. They are estimated to have smuggled out of the country $123.6 billion in stolen assets. The Beijing authorities now estimate, according to the Financial Times on 16 June, that “incidents,” a euphemism for strikes, protests and riots, numbered 180,000 last year, double the figure of five years ago. It works out at 493 such incidents each day. Despite the clampdown by the regime, incidents and clashes between the police and different groups of the population inevitably appear and are openly commented on in China. In one southern city a pregnant migrant worker was manhandled by government representatives and this led to large crowds engaging in running street battles with riot police. We have to remember that it was an incident like this that triggered the “jasmine” revolution in Tunisia earlier this year. Even the Financial Times (20 June) commented: For the moment, the first instinct of China’s government, at both local and national level, is to use force. Suppression can work for a while. But if the underlying causes are not addressed, China risks an explosion. Similar battles took place in another city between police and migrant workers over unpaid wages. And it is not just insecure “migrant workers” but other sections of the working class, as shown by the strikes of last year, who are provoking conflict. Shanghai truck drivers have also come out on strike and this has found its way into workers’ consciousness despite the attempts at a blackout by the regime. For the authors of this book all of this serves to underline their view that China’s present economic and political halfway house threatens to undermine and throw back the colossal industrial growth of the last 20 to 30 years. 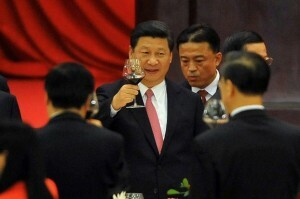 Their solution is untrammelled capitalism which, they believe, would guarantee a rosy future for China. This argument could hold a certain amount of water when the world capitalist system seemed to be powering ahead. But, like Japan before it, even with a big growth in the economy, China was most likely to hit the buffers, suffering stagnation and decline. The very development of capitalism was in the process of creating the strongest working class in the world, numerically at least. Inevitably, this would raise the question in their minds of independent trade unions and a mass workers’ party for the Chinese masses to challenge brutal capitalism. This will be mirrored by movements in the state sector against the rampant corruption and vicious anti-democratic totalitarian methods of the state. This has now been magnified a thousand times by the world economic crisis of capitalism, from which the ruling classes of the West will not find an easy escape. Moreover, the tumultuous events in Europe, exemplified in Greece, Spain and Portugal, can inspire the best workers and youth to once more engage in mass struggles against the brutal Chinese regime. 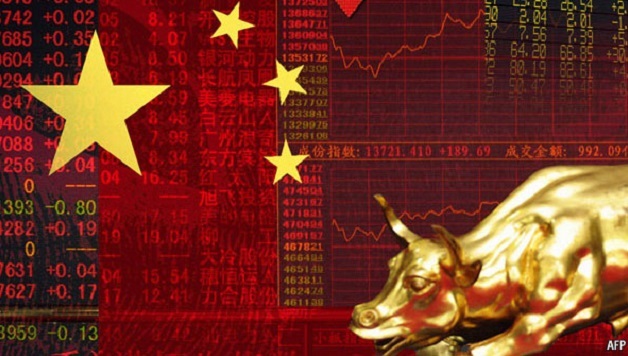 A slowdown of capitalist economic growth in China has been masked for the time being by the huge stimulus package, which has also redounded to the benefit of primary producers in the neo-colonial world. But that is coming to an end amid warnings about the economy “overheating,” particularly colossal inflation in property prices which has shut out the new generation from acquiring even the most modest properties. 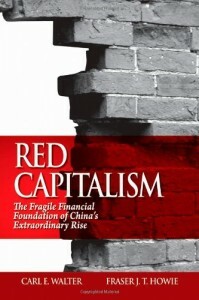 The conclusion the authors draw from their very detailed and searching analysis is not at all optimistic from the point of view of capitalism generally, the capitalist elements or the putative capitalist class in China. Firstly, the regime is beginning to share all the problems of capitalism on a world scale: China’s narrowly defined stock of debt seems to be catching up with the levels of developed countries, some with a GDP many times larger than China’s (p 203). This graphically demonstrates that China is now dependent on debt to drive the economy forward. Moreover, there will be no further meaningful reform of interest rates, exchange rates or material foreign involvement in the domestic financial markets for the foreseeable future. Nor will there be any further meaningful reform or internationalisation of the major banks, although future recapitalisations will inevitably take place. The events of the fall of 2008 put an additional seal on this: ”Don’t show me any failed models is the refrain of Chinese officials these days. But is its own financial system a model for the world to study? Can China be thought of as an economic superpower, either now or in the future, with such a system?” (p. 210). The authors answer their own questions by saying that only capitalism, one not hemmed in by the state, can succeed in China. But they also answer in the negative the question of whether there is the possibility of this being realised: With nationwide monopolies or, at worst, oligopolies, these business groups do not want change, nor do they believe that foreign participation is needed. How can China use its Anti-Monopoly Law when the Party owns the monopolies? If Zhu Rongji’s intention in signing China to the World Trade Organisation was to open it up to foreign competition and, therefore, economic change, after 2008 this goal seems to have faded from sight (p 212). Events have exercised a huge effect on the outlook of the elite, particularly the decisive change represented by the onset of the world capitalist crisis. The authors state bluntly: As far as the financial sector goes, the collapse of Lehman Brothers in September 2008 undermined the influence of those in the Party who sought a policy of greater openness and international engagement. The global financial crisis eliminated the political consensus in support of the Western financial model that had been in place since 1992 (pp 212-213). Walter and Howie have established through their analysis that China is unlikely now to construct an economy or state which mirrors the “classical” or “normal” style of capitalism in the West. Why does this matter? Does the precise character of China today have political repercussions for socialists and Marxists? Without understanding the complex character of China it is not possible to foresee the likely march of events, a vital element of Marxist perspectives. It has been the contention of Socialism Today that China has not and may not complete a full transition to capitalism as we know it in other areas of the world. Therefore, the retention of elements of the previous regime, a large state economy and its reflection in the state, would give the regime a certain leeway not open to other governments in the world. This proved to be correct with the example of the stimulus package, mentioned above, and in other respects. Of course, this does not offer a complete economic lifeline for them or elsewhere, but it is unparalleled in its scope and its effect, at least in the short term, to any other regime in the world. This is just one example of how careful analysis does have an effect. The main features of an alternative socialist, Marxist program have not been altered by our characterisation of China. It still remains the task for workers in the state sector to drive out the pro-capitalist elements and push aside the bureaucrats, “princelings” and capitalists that leech off the state sector. It is necessary to employ a programme of workers’ control and management in drawing together the state sector in a real socialist plan of production. In the purely capitalist sector we fight for independent trade unions, workers’ control and taking this sector into the state, at the same time linking the struggles of all workers, no matter what sector they work in, with the idea of a socialist, democratic China. This book allows us to further deepen our analysis and prepare for the tumultuous events which impend. Published by John Wiley & Sons (Asia), 2011, £19-99. Next articleIreland – What Program for the United Left Alliance? — After the ULA Forum: Which Way Forward?